In 1926 Eugene Colby visited his family in Denmark from his home in New York. He decided to write a brief history of Denmark. Thank you to Alice Colby Hall for a copy of this document. Follow this link to read Mr. Colby’s history. Have you been a member of a committee or board of the town over the years? You have finished your term of service. What do you do with all the documents? Well, if you have not disposed of them, please consider donating documents, manuals, etc. to the Historical Society. Selectman, planning board, board of appeals, comprehensive plan committee, budget committee, are some examples of committees. Please email denmarkhistoricalsociety@gmail.com, if you’d like to donate to the historical society. A recent query from researcher, Carla Ceglieski, asked when was Little Hancock Pond renamed to Walden Pond? If so, when did that happen? In all of the older USGS maps Sand Pond is called Little Hancock Pond. When and where the name changed to Sand Pond I do not have a clear answer. When Blanche Hirsch and Clara Altschul purchased the property now known as Camp Walden from the Pingree family in 1916, the waterbody is called Sand Pond in the deed. 1910, 1911, 1940, 1963 maps label the waterbody Sand Pond. In 1919 Maine legislature voted to approve the change of the pond’s name to Walden Pond in Chapter 12 Special Laws of Maine. 1966 maps to the present day label the waterbody Walden Pond because in 1964 field surveyors note that Sand Pond’s name officially changed to Walden Pond in 1919. Whomever was responsible in this time period, whether it was the State of Maine or the owners of Camp Walden did not let the federal government’s agency’s know of the name change. Look for more details of naming a waterbody and the history of Sand Pond in a future post! PASSAGES: We say goodby to Denmark family, friends and neighbors who passed away in 2018. Please message the historical society if a name has been missed. We try to keep a complete list, sometimes life happens and we unintentionally miss a person. 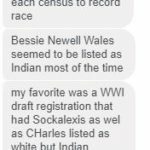 I contacted Meredith Bolster and Peter Stowell about Elizabeth Newell Wales. Bessie married Frank Wales. Bessie was half Penobscot. She embraced her heritage when many passed as caucasian. Bessie’s brothers Thomas, Lawrence, and Sockalexis lived in Denmark. All are buried in the Wales Cemetery. 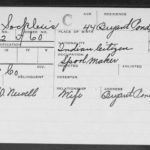 I research lost western Maine Indian tribes, have identified more than a dozen of them, and have put together a powerpoint presentation for historical societies, schools, etc. Along the way, Meredith Bolster and I got connected, first through her online site, then through Facebook. 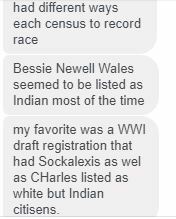 She is descended from Sock Newell, I think (you meant Sockalexis Newell, didn’t you?). Anyway, she knows about him. I merely followed some online mentions of Denmark and Sock Newell. Came across a ton of Denmark Cemetery burials and found that Sock Newell’s father is buried in the Wales Cemetery in Denmark with mostly relatives. Never knew that Denmark could have so many cemeteries. That’s about it. Sock lived in Greenwood for decades, made craft furniture and other knick knacks for sale on the shore of North Pond. I knew of his people, having grown up in Bethel. I would contact Meredith if I were you; feel free to start a conversation with me included in Facebook messenger if you’d like. She doesn’t have all the answers but more than I do. But I’m pretty dogged in tracking down new sources of info. George Paul is researching Albert F. Trumbull (1870-1953), who I believe lived on a prosperous farm in the Denmark/Bridgton area. He married Margaret Spottwood (1869-1944) and they had two children: Alberta (1894) and Charles F. (1897). I would like to know Mr. Trumbull’s address in 1899/1900, and if the house is still standing. The backstory is that this past winter I acquired an antique phonograph that was built in 1899. This is a cylinder record machine, and at that time one of the selling points of cylinder players was that records could be made at home. Among the 19 records that came with this machine was one announced as having been made by Albert Trumbull. A search disclosed only one Albert Trumbull was living in Maine at the time (none in Vermont or New Hampshire – where this machine was found). The machine I obtained was the most expensive phonograph of any type built at the time, and only a well-to-do person could have afforded it. A phone call with Allen Trumbull in Fryeburg confirmed that this could be the man I’m looking for. I’d very much appreciate any assistance in learning Mr. Trumbull’s address and whether or not the house still stands. Albert F. Trumbull (1845-1912), son of Foster & Theodosia Trumbull lived in Denmark. If this is the person you are searching for I will be happy to provide further information. I believe the Albert Trumbull you are researching is from Bridgton, which is next door to Denmark. I do not have details about him. Will you please let us know the information you receive? Bridgton Historical Society will assist you. Albert F. Trumbull 1845-1920 was a brother to Luther….I have a wonderful old photo of the Trumbulls in front of George and Minnie’s house, that was originally Foster and Theodotia Allen Trumbull’s home…..must have been a reunion, lots of Trumbulls in the picture, including Arlene my mother and Mary my aunt as little girls. He married Emma Witham had 5 children, I remember very well George and wife Minnie, whom we always called Aunt Minnie and Uncle George. Luther’s parents were born in New Hampshire. I know there were Bridgton Trumbulls, have not explored them, but suspect a connection of course. 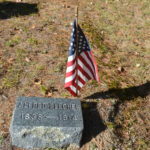 ….documenting the Civil War Veterans for the City of Fitchburg, MA. One of our soldiers moved to your town, and died there on January 7, 1914. Would you be able to confirm this and also tell me where he was buried. If you have a picture of him, and or, his gravestone I would very much appreciate a copy. I could also use any information that you have that you could share with me. 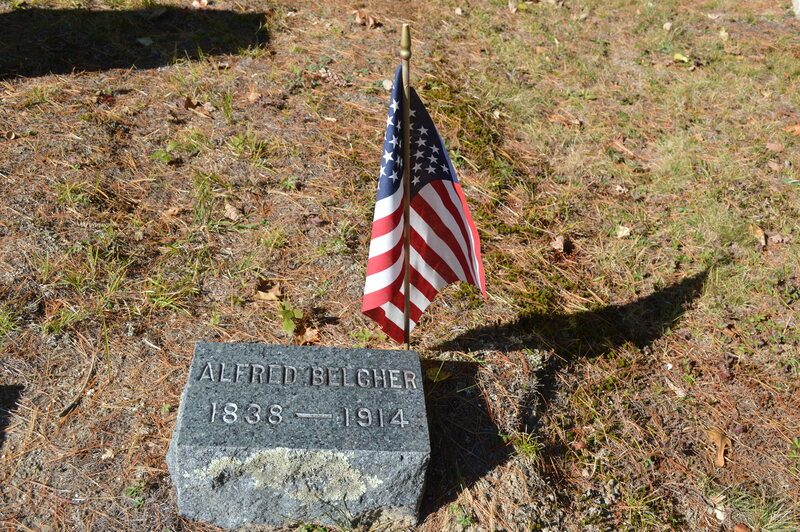 Yes, Alfred Wood Belcher is buried in L.A. Berry cemetery in Denmark village. His stone lists his birth/death as 1838-1914. He was the town clerk 1904-1906. 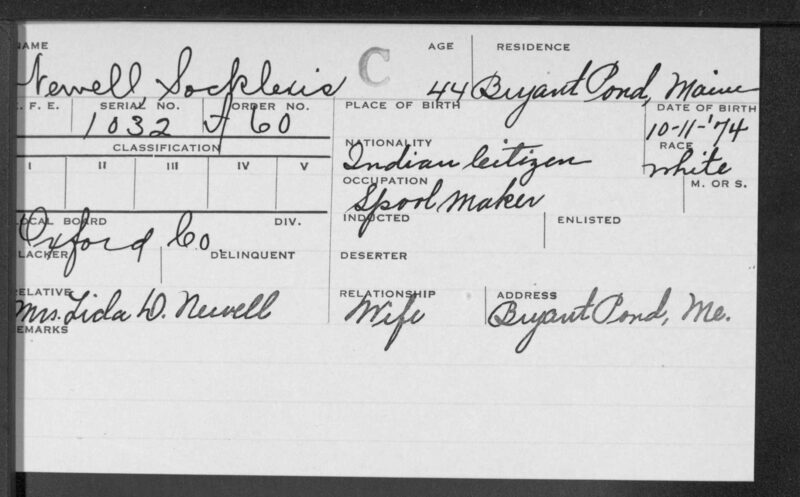 In the town records his date of death is listed as 1/19/1914. Sally Williams of the Hiram society has given me your name as curator for the Denmark Historical Society. My sister and I are the current co-owners of family heritage property in West Bridgton. We already have a huge lot more information about various branches of the family than most folks have, but I’m sure you appreciate a preference for written clues to substantiate family lore or one’s own speculations. I think we have our Colby connections in pretty complete shape from copies of an extensive family history and supplementary notes from a cousin, Alice Colby-Hall, retired professor of French at Cornell University. We would have greater interest in our Kimballs (Nathaniel, son of John) and in our namesake Josiah Evans originally from Fryeburg through the David branch as opposed to the more prolific John branch, David and John being owners of two of the “seven lots” when Fryeburg began.